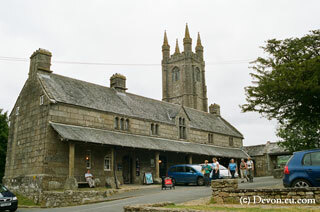 Widecombe in the Moor is a small village in the middle of Dartmoor.Its name is possibly derived from Withy - Willow and Combe - valey, so literally meaning Willow valley. The town has been made famous by the folk song celebrating its ”Widdicombe Fair" where there are a long number of visitors "Uncle Tom Cobbley and all". The song is commemorated on the town sign near the church. The fair is usually held on the second Tuesday in September. 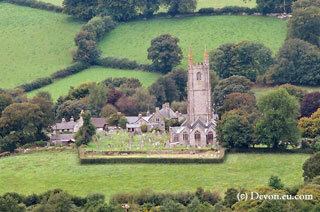 Widecombe also has a church of St Pancras that dates back to the 14th Century. The tower is exceptinally tall for such a small village and the church is referred to as the Cathedral of the Moor and it dominates the buildings amongst the rolling hills. 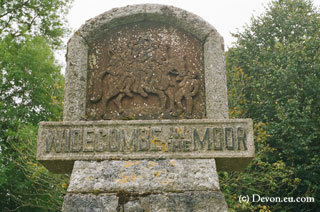 There has been some mining in the area, but mostly Widecombe remains an unspoilt farming community. The Church House dates backs to 1537 and was also a brewhouse for Church Ales - now maintained by the National Trust. 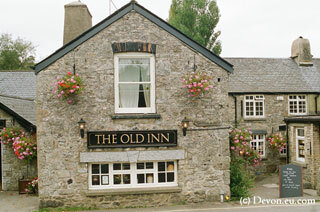 There are also two old pubs “Old Inn” and “Rugglestone Inn” with the former dating back to 14th Century. Widecombe is an ideal base to explore the wonderful Dartmoor landscape with one company offering the help of Llamas to carry your bags.